If you or a loved one suffers from an occasional mood slump or periodic depression, something that can help get you over those temporary feelings: an infrared sauna. An article published in the Psychosomatic Medicine Journal in 2005 reported results of a study conducted by a group of researchers in Japan. During the study, a group of 28 patients experiencing mild depression were observed. Among the complaints recorded in these patients: general fatigue, mental complaints, and loss of appetite due to depression. During the study period, the group was treated with infrared therapy for 15 minutes a day. The rooms were heated to about 60 degrees Celsius (140 degrees Fahrenheit). After the session, the patients were asked to rest in bed for 30 minutes. This regimen was followed for a period of four weeks, using the infrared therapy five days a week. At the end of the four week study, the group experienced improvement in mood, better appetite and overall relaxation. It was concluded that regular infrared therapy could benefit those with mild depression. If you’re considering adding an infrared sauna to your home, why not invest in the sauna brand known to be the safest in the industry today? Finnleo Saunas have patented their CarbonFlex® infrared technology, known as PureInfra™. Their saunas have exceeded strict Swedish safety standards, emitting the lowest amount of EMR/EF (electromagnetic radiation & electrical field) of any infrared sauna made today. Not only will a Finnleo Sauna improve your mood, you’ll do it in the safest way! RED is the symbol of love and of life itself; with its mood elevating power; which is the highest of all colors; it is recommended for treatment of impeded circulation. It generates enthusiasm, alertness. Ready to feel great and always be in a good mood? 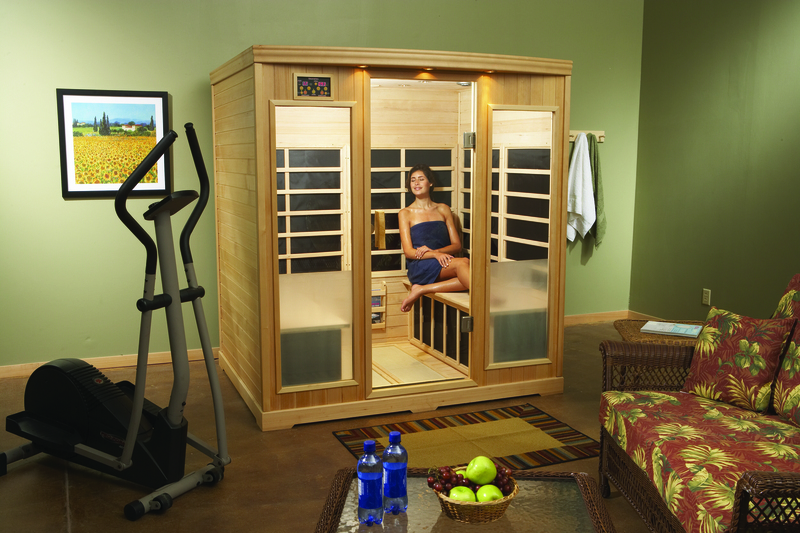 Visit one of our showrooms today and give a Finnleo infrared sauna a try. They set up easily and many only require a standard household outlet to operate. You’ll love the way it makes you feel!